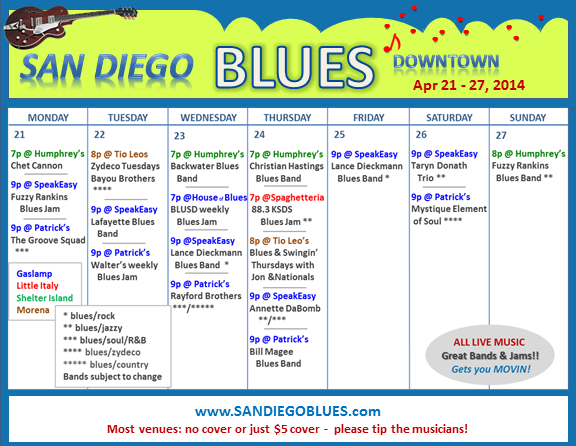 I just learned that the Thursday night blues/jazz jam hosted by 88.3 Jazz KSDS Radio, which has been hosted by Spaqhetteria in Little Italy for quite some time, is moving to a new week day and place – effective THIS week. 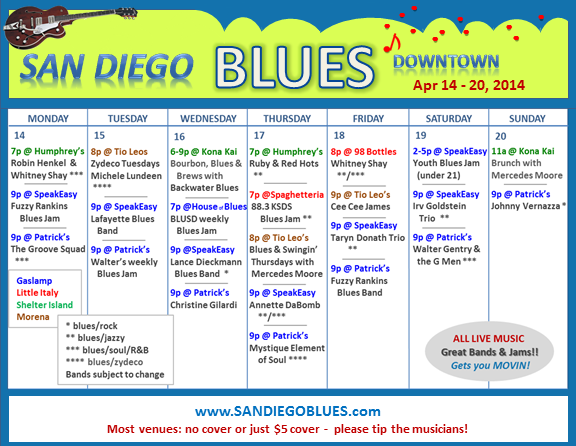 The blues jam will now be on Wednesday evenings (6:30-9:30) at Proud Mary’s Southern Bar & Grill north of the city. You can find it at 5500 Kearny Mesa Road (west side of 163 in the Ramada Inn). 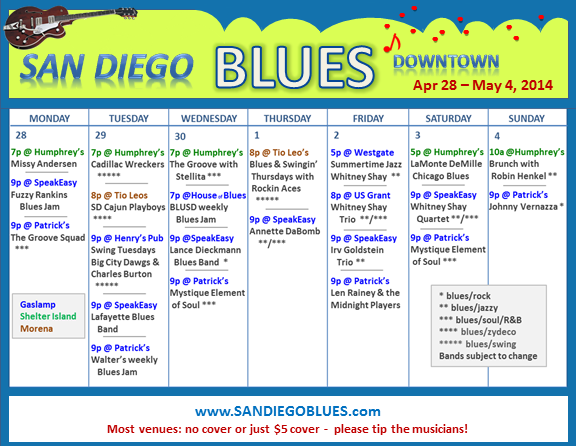 This is also where the tried and true bluesman Tomcat Courtney plays every Thursday night, starting at 6pm.